Siding Industries of Northern Florida, Inc.
Gifford & Gifford Construction, Inc.
Spencer for Hire Heating and Air, Inc. Comment: Garage side is covered in cement board and plywood. Tear off, insulate, and install aluminum siding. Comment: Louisiana Pacific siding is failing and needs replacement. Some Hardie board present from previous repairs. Comment: A few pieces warped because my grill was too close to the house! Comment: I need Harding board at the bottom of my siding. Jacksonville Siding Contractors are rated 4.78 out of 5 based on 1,243 reviews of 79 pros. 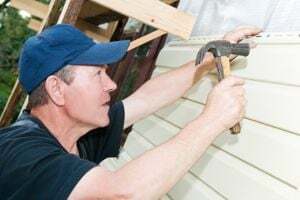 Not Looking for Siding Contractors in Jacksonville, FL?